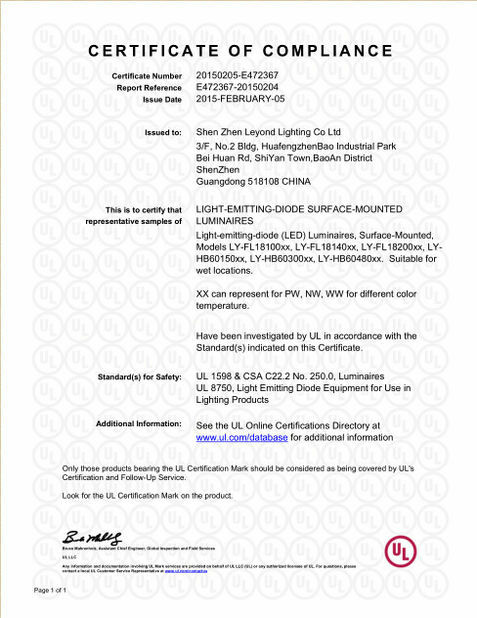 New solar LED Street lightwith 160Lm/W high efficiency for 3 years warranty. 1)The intergration of design ,no cable,the installation is very convenient. 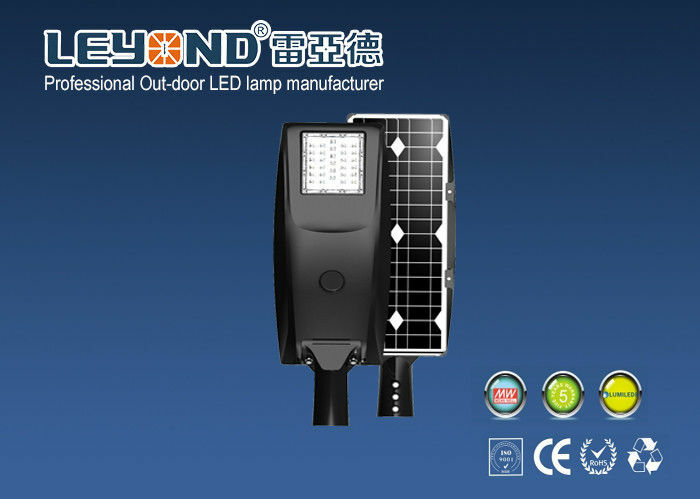 2)The Mono-crystalline solar panel,LED lights,lithium battery,intelligent controller integrated Aluminum Alloy shell. 3) It used of lithium iron phosphate battery,fight the high temperature,keep long life. 4) When the products with optically controlled microwave induction infrared sensor, automatic adjustment of intelligent power on rainy days, extend rainy days. 5) It used of alloy material as the main structure,with good rust prevention,corrosion protection. 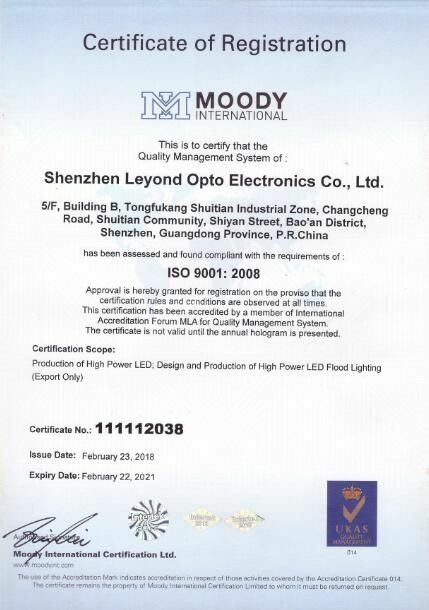 6) The wireless remote control setting device,adjustable lighting time ,lighting power ,automatic detection of battery voltage,read light power parameters,a human body induction function,as long as people go through when full power lighting,no automatic power down alf, restore energy saving mode. 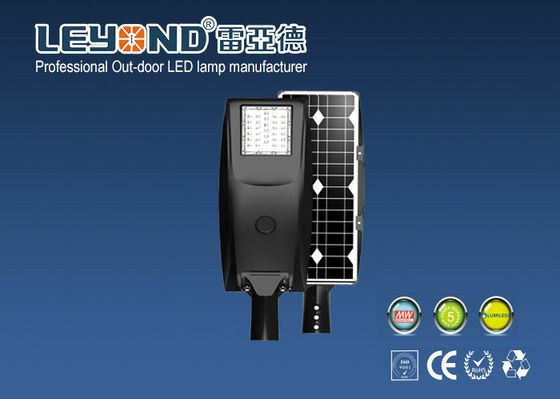 8) Motion and light sensor built in:solar street light goes on at dusk at 50% brightness. Can go from 50% power to full brightness when motion is detected. Three Intelligent Modes: Bright / DIM / Recharge. 1,Bright: motion activates for lighting when motion is detected for security light and to save battery; 2,DIM: 50% lighting for saving power when no motion; 3,Off/Recharge: automatically turns off in daylight and goes into recharge mode. (working mode can be adjusted according to client's demands).